Until recently, if you wanted to buy a Verizon prepaid phone with Android Oreo out of the box, you had to go for expensive devices like Google's Pixel 2 and Pixel 2 XL, or Samsung's Galaxy S9. Well, no more. This week, Verizon started selling the Motorola Moto E5 Play, offering it for only $94.99 to prepaid customers. Of course, at such a low price, the Moto E5 Play is not a smartphone that can wow you. Nevertheless, this is a decent handset that's got all the basics covered, and even more - it's got a fingerprint scanner, HD voice support, and a splash-resistant body. The Android 8 Oreo experience that the Moto E5 Play is offering is a near stock, uncluttered one. The new handset sports a 5.2-inch display with a traditional 720 x 1280 pixel resolution, further featuring a quad-core Snapdragon 425 processor, 2 GB of RAM, and 16 GB of expandable storage space. For a closer look at the phone, see our Moto E5 Play hands-on. 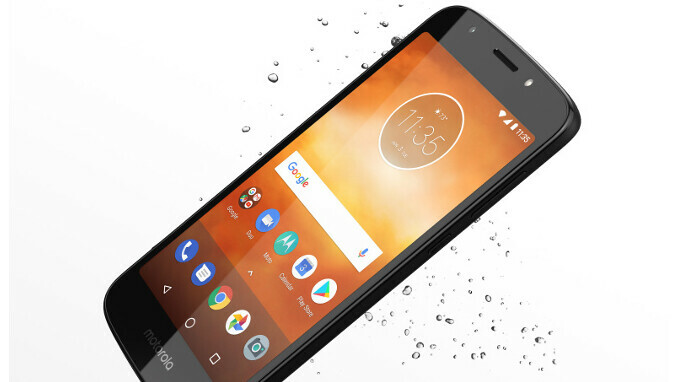 The Moto E5 Play is the second new Motorola smartphone that Verizon is launching this month, after the more powerful Moto G6 - which is priced at $240 but isn't available to prepaid users. Boost moto g6 play is $80 USD at Walmart. In other words the Moto E5 Play has almost the exact same specs as last year's $40 Verizon Moto E4 but now it costs $95. I'll pass. Good job Moto. Haters gonna hate. Android Oreo for everyone! People will complain no matter what.